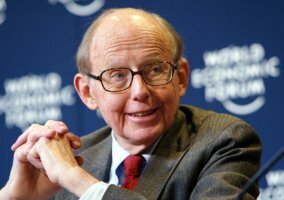 The release of Samuel P. Huntington’s The Clash of Civilizations was the occasion for quite the stir in academic circles. Perhaps more importantly, his ideas of civilizations and the incommensurability of values continues to have outsized influence on the framing of policy debates and public opinion. While initial critiques of his ideas were sharp, they have elided the deep theoretical analysis of their origins and defects which can be achieved by a comprehensive analysis of his chief sources – particularly the British historian and philosopher of history Arnold J. Toynbee, and the historian of science, Thomas Kuhn. In this essay, I shall untangle these two separate threads in his thoughts in order to enucleate the core of his ideas. In the process, I shall demonstrate that Huntington ignored those theoretic insights of Toynbee’s which invalidated his conception of civilization, and propped-up a theoretically invalid conception by an unjustified appeal to the dubious epistemological work of Thomas Kuhn. It was these choices of Huntington’s which had the perverse effect of providing an illusory justification for the concept of a necessary “clash”. I will end the essay with a brief encapsulation of the problem of the conceptualization of “civilization”, the defects in Huntington’s formulation, and, using the work of Toynbee and Eric Voegelin as reference points, suggest a more transparent conception which does away with the misleading, and dualistic symbol of “the West” altogether. The release of the late Samuel P. Huntington’s The Clash of Civilizations was the occasion for quite the stir in certain academic circles. And not for totally undue reasons, of course, given the author’s conscious attempt to reconceptualize the models by which Western students of international relations attempt to comprehend the world of states, and thereby to throw a certain amount of cold water on notions of an era of world peace which had made the rounds immediately after the collapse of the Union of Soviet Socialist Republics (U.S.S.R.). Huntington was, in a certain sense, rather contrarian in his views and claims, while simultaneously assiduous enough to list, more or less politely, a range of models of world relations which he sought to knock-down. The short list the one-world utopias of Marxist-Leninists and of liberal-democratic thinkers such as Franklin Roosevelt and Francis Fukuyama (a former student of Huntington’s, no less); the bi-polar models of East v. West, North v. South, Free-World v. Communist Bloc, Dar al-Islam v. Dar al-Harb, and models of the so-called “West v. The Rest”; and even the cherished realist and neo-realist models of an international anarchy of more or less sovereign states. Whatever else may be said, Huntington did not lack for targets. That being said, his was not a simply negative or deconstructive effort, and the victims of his analysis would perhaps be equally justified in feeling relief or annoyance that the author felt apparently liberated of any need for further critique than could be completed within a few paragraphs nested within a single sub-chapter of his book. The chief focus of the first four chapters of that work would rather be dedicated to the development of a completely new model of international relations which he could judge to more fully capture the world he perceived to be unfolding in the post-Cold War war in the closing years of the twentieth century. That world, evidently, was one of civilizational blocs, each comprising a plurality of states, ordered internally and externally distinguished from one-another according to shared “values”. For the theoretical support and explanation for that which he apprehended to be transpiring – a movement which he sought to both describe and predict – Huntington seemingly turned to three explicit and reoccurring sources; the English historian Arnold J. Toynbee, the German father of sociology Max Weber, and the American philosopher of science Thomas Kuhn. It is from the first of these from which Huntington seems to some of his insights into the constitution and character of those units of political order which termed “civilizations”, with reoccurring support drawn also from Oswald Spengler, Matthew Melko, Fernand Braudel, and Emile Durkheim. It is with this aspect of Huntington’s oeuvre, rather that with his predictive statements or empirical methodologies per se, with which the essay will be primarily concerned. In that regard, the question will be asked if Huntington, in spite of drawing upon the philosophy of history developed by Toynbee, drew correct conclusions regarding both the phenomenological and logical constitution of “civilizations”, and whether, as a consequence, he correctly apprehended the historical situation as it was presented to him. Tangentially, it shall be maintained that the grosser errors in Huntington’s analysis of the phenomenon of civilizations derives not from implicit bigotry or Orientalism per se, but rather reflects a commitment to Kuhn’s idea of “paradigms”, the extension of those ideas to the social realm, and the logically untenable admixture of Kuhn’s relativism with Toynbee’s philosophic realism. More directly, it will be argued that, had the author given fuller attention to the theoretical groundwork lain-out for him by Toynbee in his A Study of History, he would have drawn much different conclusions regarding the political situation of his time. Namely, it would not have appeared to be the case that those conditions representing an existential struggle between a collection of seven “major” and one “possible” civilizations (Sinic, Japanese, Indian, Islamic, Western, Orthodox, Latin American, and “possibly” Africa)(45) each engaged with one-another in the Great Game of power politics and resource procurement. Rather, he would have been forced to conclude, given the theoretical clarification offered by his sources, that he was witness to the breakdown of a world-spanning Western civilization on the edge of entering into an era of “Volkerwanderung,” or interregnum, or else an era of conflicts meant to temporarily stave-off the breakup of Western Society through the creation of a universal Western state. Thus, it will be demonstrated that either of those two possible conclusions should have followed logically from Huntington’s empirical observation of events, had he apperceived Toynbee’s insights into the causes of the generation, growth, stagnation, decay, and suicide of Societies, and that his failure to do so stems, in part, from a lack of theoretical clarity in his work which is made apparent by certain absurdities in his analysis – absurdities which Huntington was at times aware of, but could not overcome. This project shall proceed via an exegetical overview of Huntington’s work, which shall then analyzed and criticized in the course of an exegesis of Toynbee’s thoughts on the matter. The upshot shall be to demonstrate that Toynbee’s greater insight into the matter of civilizations – insight which Huntington had ready access to – would have led to a much more nuanced and less hyperbolic analysis of the political landscape, and avoided unnecessarily fuelling international political tensions. While it is evident from the very title of his book that Huntington perceived the world to be sliding into an era of multi-polar tensions which would be roughly organized along civilizations lines. However, his analysis does not make readily evident to the reader what a “civilization” is, asides from roughly identifying civilizational identities with Kuhnian “paradigms”, and maintaining, for instance, that “. . . the differences between civilizations are not only real; they are basic. Civilizations are differentiated from each other by history, language, culture, tradition, and, most importantly, religion. The people of different civilizations have different views on the relations between God and man, the individual and the group, the citizen and the state, parents and children, husband and wife, as well as differing views on the relative importance of rights and responsibilities, liberty, authority, equality and hierarchy”(1996: 6). 1. First, a civilization is a type of society which is “settled, urban, and literate”, and could be contrasted against the image of “barbarian” society, which one might expect to be un-settled, rural or migratory, and illiterate. 2. Second, to refer to “a civilization” is to speak synonymously with “a culture” — “the overall way of life of a people”, which is often associated with a degree of homogeneity of religion and language, and perhaps, though not necessarily, blood. 5. Fifth, “civilizations are cultural, not political entities” (1996: 40-44). 1. First, “Countries tend to bandwagon with countries of similar culture”. 3. Third, core states, by virtue of their power, will attract those who are culturally similar and repel those who are culturally different. 8. Eighth, “When civilizations lack core states the problems of creating order within civilizations or negotiating order between civilizations becomes more difficult” (1996: 155-7). 9. Ninth, cleft countries, and possibly torn countries, by virtue of the split loyalties of their populations, will tend to become the focus of inter- as well as intra-civilizational tensions as their populii struggle for modes of self-definition and representation which are consistent with their cultural values (1996: 137-9, 305). 10. Tenth, intra-civilizational wars are resolvable through the intervention of that civilization’s core state, or else through the good-offices of a neutral member of the same civilizational bloc. 11. Eleventh, “fault-line wars” between members of different civilizations will tend to be resolved only through a combination of the exhaustion of the immediate participants, and the restraining of said participants by secondary and tertiary parties of the same “kin-groups” as the combatants – parties who have an interest in preventing the expansion of the conflict. 12. Twelfth, “fault-line wars” without secondary and tertiary parties will tend to be resolved only either through the extermination of one or both sides, or by exhaustion (1996: 291-94). 13. Thirteenth, maneuvers carried-out by the member states of one civilization for the securing of strategic resources can quickly become the trigger for inter-civilizational conflict (1996: 314-15). Thus, given the logical possibilities presented by Huntington’s model, we must reach certain conclusions regarding the future of armed conflict. Firstly, that intra-civilizational conflict is, by definition, impossible within lone country civilizations, possible but subject to resolution with relative ease within civilizations possessing core states, and very possible but difficult to resolve within civilizations lacking core states. Secondly, by force of the argument, inter-civilizational conflict is to be regarded as possible but resolvable between member states or within cleft countries of different civilizations possessing both core states and secondary and tertiary parties to the conflict, possible but resolvable with difficulty between member states of different civilizations when core states are not mutually implicated, and nearly impossible to resolve in circumstances when the parties are restrained by neither core states nor secondary and tertiary parties. By definition, lone countries are not subject to restraint by either core states or other intra-civilizational units. Furthermore, given the definition of “civilizations” proposed by the author and the list of such super-units which flowed from that definition, certain conclusions would have to be reached regarding the potential “hot-spots” of inter-civilizational conflagrations. For instance, one must assume that the border areas of Huntington’s Islamic civilization will be regions of tension for both the reasons of demographic explosion and the added complication of that civilization’s lack of a recognizable core state. In light of that lack, it would logically follow that whatever energies might be unleashed by a population explosion in Islamic member states would find no overarching order, direction, or control put to them through the interventions of a hegemonic power acting as a tertiary or secondary kin-party. Furthermore, it would follow from that lack of a manifest core state that conflicts arising between Islamic member states, but also between Islamic and non-Islamic states, would be heightened or prolonged by the lack of an Islamic power to pull back on the reins of war. And in fact, such a logical analysis of the situation facing the fault-line areas bordering Islamic civilization was posited by Huntington himself. However, in spite of whatever strengths these observations may possess, there are an array of reasons to question the substance of Huntington’s work. For instance, in spite of his assertions that either religion or else ideology will tend to be the central, defining characteristic of a civilization, there is little to no reason given to explain his separation of Latin America from Western civilization, given his own admission that the two share a common religion in Western Christianity. Only a slightly better explanation is given for his separation of Orthodox civilization from its Western and Latin American cousins, in that he opines that the institutional order of the first is distinct in that it expressly subordinates the ecclesiastical order to the direction of the secular (1996: 46-7). The issue of the identification of a civilization with a religion is further confused when he asserts that “The civilization to which [one] belongs is the broadest level of identification with which he strongly identifies” (1996: 43), then asserts the cohesiveness of Buddhist and Islamic civilizations, and yet persists in dividing Christendom into three distinct blocs. Why would “Western Christianity” be the highest level of identification for Catholics and Protestants, and yet “Islam” be that for Sunnis and Shi’as, or “Buddhist” for Theravadans or Mahayanists? An aura of ambiguity in Huntington’s work, then, seems to issue forth from his formal classification system, and ultimately from the theoretical kernel which informs that. For, if we cannot be certain of the allegiances of particular member states vis-a-vis particular civilizations, one cannot follow the author in distinguishing inter-civilizational fault-lines and fault-line conflicts from intra-civilizational boundaries and strife; an important consideration by the estimation of Huntington, who, as we have seen, carefully delineates between the logic and possible resolution strategies of the one type of conflict and the other. Properly identifying the boundaries of civilizations is therefor of paramount concern, an identification that is somehow stymied by the writer’s theoretical definitions. In order, then, to shed light on this ambiguity in his work, it perhaps behooves us to draw upon one of his principal sources to give clearer definition to the portrait of the political unit which he has termed a civilization. Thus, we shall turn now to the work of Arnold J. Toynbee. Arnold J. Toynbee was born in London in 1889, studied at Winchester and at Balliol College, Oxford where he is quoted as having received an ‘old-fashioned education in Greek and Latin Classics’. In 1912, he was received as a Fellow and Tutor at Balliol where he taught Ancient History until 1915, when he entered the Government Service of Great Britain, whereupon he worked on Turkish Affairs in the Political Intelligence Department of the Foreign Office, and later served at the Paris Peace Conference at the conclusion of the First World War. From 1919 to 1924, he was Professor of Modern Greek and Byzantine Studies at King’s College, University of London, and spent a year of that time as a war correspondent in Greece for the Manchester Guardian. From 1925 to 1939, Toynbee served as Director of Studies at the Royal Institute of International Affairs, before returning to the Foreign Office at the outbreak of Second World War, where he remained until 1946. In the period spanning 1933 to 1961, Toynbee published his multi-volume A Study of History, completing the first three volumes in 1933, and issuing the second triad forty-one days before Britain’s declaration of war on Nazi Germany and the Axis Powers. The completion of his meditation on the rhythms of history would thence be interrupted for some years as the Englishman both contended with the war and then came to rethink his perspective on the problem of order in history. Ultimately, an additional six volumes of the Study would be published in 1954 (volumes VII-X), 1959 (volume XI), and 1961 (volume XII). Throughout his work, the common denominators remain the author’s commitment to discerning a pattern to the rise and fall of Societies and civilizations in history. In this, he stood in close company with contemporaries Oswald Spengler, Eric Voegelin, and Karl Jaspers, with whom Toynbee was familiar, whose approaches to the problem he addressed in his own work, and whose skepticism regarding a progressive teleology of history – such as those proposed by Karl Marx or by Georg W. Hegel – he shared. In the process of his composition of the first six volumes of his magnum opus – with which Huntington was quite familiar and of which he made use – Toynbee developed his own particular, and sometimes idiosyncratic, terminology for describing the patterns which he perceived in the rise and fall of nations, peoples, and empires. “An essential difference between civilizations and primitive societies as we know them (the caveat will be found to be important) is the direction taken by mimesis or imitation… It operates… in different directions in the two species of society. In primitive societies, as we know them, mimesis is directed towards the older generation and towards dead ancestors… [In the other case], mimesis is directed towards creative personalities who command a following because they are pioneers. In such societies, ‘the cake of custom’, as Walter Bagehot called it in his Physics and Politics, is broken and society is in dynamic motion along a course of change and growth” (1947: 49)(emphasis added). “Under threat”: All remaining, non-Western Societies (1947: 244). It is Bergson’s great mystic who thus forms the core of a civilization’s creative minority of those who have had the strength and skill of spirit to undergo a form of spiritual union with and transfiguration by the source of their inspiration. This transfigured minority then, under the proper historical conditions, may become the core of a new civilization, or else help to perpetuate an existing one. They stand in contrast to the static majority, the hoi polloi, of whom Toynbee writes as follows: “. . . but ex hypothesi the macrocosm of the transfigured personality is also the macrocosm of his untransfigured men, and his effort to transform the macrocosm in consonance with the change in himself will be resisted by their inertia” (1947: 215). Assuming, though, that a creative minority does indeed take root following the appearance of the great mystic, and that they do not find themselves harried by the majority as like “abnormal members of the swarm or hive or herd” (1947: 213), they will nevertheless forever find themselves to be the numerical few in the great sea of normal men who, in spite of the the growth of civilization and the superimposition of a veneer of education, remain “men of like passions with primitive mankind”. The few, “the superior personalities… call them what you will – are no more than a leaven in the lump of ordinary humanity” (1947: 215). The life and growth of civilization, therefor, is assumed to always rest in the hands of creative minorities, who, inspired by the memory of the great mystics, induce the creative motion of history into the otherwise unleaven lump of mankind by making both themselves and their inspirational source into the living subject of popular mimesis. This creative dynamism is in danger of failing, however, should a civilization’s core of initiates themselves turn their attention from participation in a living tradition to the preservation of the dead weight of the past. Regarding this danger, the historian writes of five chief nemeses: the idolizations of an ephemeral self, of an ephemeral institution, or of an ephemeral technique; suicidal militarism; and intoxication with a past victory. As examples of the first three, we are pointed to the examples of Hellenic civilization. First, we are reminded of Athens’ overweening pride – even after her fall to the Hellenistic and then Roman Empires – in her reputation as ‘the education of Hellas’ long after the centres of creativity had shifted south to Alexandria and west to Rome (1947: 307-17). Second was her over-attachment to the institution of the autarkic city-state, long after that institution had proven insufficient to protect her in an age of empires and confederacies (1947: 317-26). Third, we are pointed to the dangers of stubborn reliance on out-moded military techniques, such as the Spartan phalanx – as evidenced by its ineffectiveness during the Peloponnesian War and then against Alexander’s Macedonian phalangite (1947: 317-26). Behind ‘suicidal militarism’ and ‘intoxication with a past victory,’ Toynbee perceived lurking the familiar curse of the fall from koros into hubris and finally into ate – smugness transforming into overweening pride leading to reckless behaviour, which brings ruin upon those caught in the spell of past success (1947: 336-349). Transfixion with the ghosts of the past is therefor the great danger facing the creative core of civilizations, and the danger which threatens to cause the fall of a creative minority into a state of a mere dominant minority – an inner circle of society which does not lead by presenting itself as a living example for the majority of persons to imitate in their own fashions, but rather through the application of force and the maintenance of decaying institutions. Where such decay had set-in among civilizations, both bygone and present, and the stage of history had ground to a motionless halt, Toynbee suggested a certain pattern of ramifications should renewal not occur. First would appear a time of troubles or heroic age, expressed as a state of intra-civilizational civil-war as power replaced creativity as the principle dynamo of a sickening society. Second would follow the attempt to establish a universal state, usually organized and dominated by whatever state, nation, tribe or whathaveyou within that civilization which had succeeded in subduing all others. The era of the new imperium would not necessarily be stained with bloodshed, and might even be a relatively peaceful epoch, as evinced by the pax romana of Hellenic civilization under its universal Roman Empire. And, like Rome, the new universal state may even expand beyond its “natural” civilizational boundaries, displacing or assimilating barbarian tribes and conquering the territories of other societies, both primitive and civilized. In Toynbee’s historical analysis, however, eventually, the rot which was suspended by the establishment of a civilization-spanning empire (assuming that the establishment had carried-off, in some fashion) would take hold once again, as the un-creative, dominant minority of the imperium turned to the techniques of imperial bureaucracy and administration as the means by which to hold the moribund political order together. The stagnant pools of the imperial institutions would alienate many or most of the best and most creative of those born under its rule, and their energies would instead be turned to extra-imperial associations, such as the Greek Bacchanale, the Egyptian cult of Isis, and the Jewish cult of Christianity under the pax romana. The enthusiasm and creativity of these new movements, far from being welcomed, would be perceived by the dominant few as a growing existential threat to the imperium, which would eventually inspire persecutions. Meanwhile, the “barbarians” of the hinterlands, chafing from their exclusion and their losses to the empire, muster around the borders, forever seeking to penetrate its walls. When the machinery of the universal state begins to creak and fail under the cost and weight of its now entirely necessary sea of uninspiring and uninspired middle managers, these internal and external proletariates watch as the civilization which excludes them commits a slow and painful suicide by suffocation. When the twitching body of the suicide hits the ground, its proletariates are ready to administer the coup de grace and eulogize the death. Similar to St. Augustine’s condemnation of the pagan institutions of Rome, the creative internal proletariate will be ready to now castigate the old universal state and perhaps to form the nucleus of a new civilization – descended from the old – as its creative minority; this provided that the new society is not converted or conquered by others. The barbarians, on the other hand, in their Volkerwanderung will content themselves to launch themselves onto the carrion “like maggots crawling on the carcass” (1947: 14), ripping apart whatever might be left of the body while contributing nothing to the future. This then, is the final stage of civilizational decay: the interregnum. As we may see, there are several points on which Huntington has diverged from the theory of history developed by Toynbee, in spite of his apparent reliance on the latter for theoretical insight. The source of that divergence, moreover, may be addressed as primary and secondary factors: i) Huntington’s divergence from Toynbee regarding the definition of a “civilization”, and his attempts to ground its essence in an abstracted Kuhnian “paradigm” as opposed to universal grounds of human experience which have found particular, characteristic forms and expression, ii) the former’s occasional conflation of political and institutional independence with civilizational distinctiveness. We shall presently address these two concerns in their turn. With regards to the definition of what constitutes a civilization, we may now note several points of departure between the political scientist and the historian. First and foremost, while Huntington posits that​ “civilizations” are comprehensive cultural units – by definition the most expansive such unit which an individual may identify with – Toynbee assigns that position to Societies, of which civilizations are but a known species alongside primitive societies. It is also apparent that Huntington for all his talk of religion as a chief constitutive element of civilizations, does not ground it in anything other than convention – and whether that be on the spectrum from functional to purely arbitrary conventions is also unclear. As such, religion, from his point of view, can only be considered something relative to a civilization’s own particular, internal habits and traditions – it neither possesses a trans-paradigmatic meaning, nor reflects, however well or no, universal experiences and principles. Thus, for Huntington, religions can only be divisive, and are beyond reasonable debate, for there is no higher reality beyond the paradigms represented in religions to which one might appeal for common ground or judgement of events or actions; they set “values” for members of the paradigm which transcend or over-ride purely functional, utilitarian ends, but are themselves completely outside a higher, reasoned appeals. If anything, it is implied or assumed that religious “values” structure the intra-paradigmatic grounds of logic and reasoning, rather than arise from or are reflections of, particular experiences and articulations of a commitment to universal truth or reality. For all that, Huntington is also much less precise in his assignment of a concrete source of existential order or authority to his unit of study – he only posits that the pillar of a civilization to be “culture”, and perhaps more specifically to a cultural value such as a religion, ideology, or race. However, Huntington’s pillar of civilization – values – is quite abstract, and a reader can only assume that it has been somehow diffused throughout civilizations through some unknown means. Toynbee, however, is quite specific in assigning leadership within a civilization to a minority – a creative minority in the case of a vigorous society, or a dominant minority in the case of a moribund order – which has been, and continues to be, authoritative as a consequence of their being the focus of the natural, mimetic faculty of the static majority. Secondly, as we noted earlier, Huntington posits the existence of civilizations which Toynbee does not recognize as extant or distinct entities – in example, Latin American civilization and African – and cannot provide a very convincing explanation why others – such as Orthodox civilization – should, by his logic, be considered the largest unit of cultural attachment, rather than some larger bloc – such as Christendom. Toynbee, by contrast, suggests a simple reason for both the separation and merger of civilizations in the form of differentiating and merging creative minorities. When, as in the case of Far Western Christian civilization and its Celtic Catholic Church, when an isolated minority becomes the focus of popular mimesis, child civilizations may spring from a main body – in such a case, from the body of Western civilization and the Roman Catholic Church. By the same token, civilizations may merge if the creative minority of one joins with that of another, much as transpired when the Celtic Church submitted itself to the authority of Rome; it also thus follows that Toynbee would recognize that reconciliations, compromises, and even unions of civilizations are eminently possible. It is upon consideration of this point of departure from the work of Toynbee, that we glean the source of some of the more puzzling aspects in Huntington’s work. For, it is apparent that if that author had stuck closer to the path laid-out by the English historian, he would not have found himself puzzling over whether or not to consider Latin America and Africa to be distinct civilizations. By the logic of Toynbee’s arguments, it seems clear that neither should be. Latin America, as a collection of peoples largely informed by the living principles and practices of the creative minorities of the Western Churches, would not appear to be distinct on a level which would cause one to classify that continent as a civilization set apart. Africa, by contrast, would have to be conceived as a geographic land-mass predominantly divided between two major civilizations – Western and Islamic – and a dwindling number of so-called primitive societies. More troubling, however, is Huntington’s lack of consideration over the bare fact of Western civilization’s conquest, colonization, and subjugation of the vast majority of the Earth’s surface and its Societies during the so-called Age of Imperialism (c.1500-1950). The civilizations which Toynbee, writing in 1930’s, described as “in their last agonies”, the Polynesian and Nomad, may seem quite dead as independent forces, and one may perhaps legitimately worry over the status of Inuit civilization (Toynbee’s “Eskimo Civilization”). Even more to the point, however, one should ask: are there fully distinct and effective creative minorities at the centre of their Orthodox-Byzantine, Orthodox-Russian, Islamic, Hindu, Chinese Far Eastern, and Japanese Far Eastern brethren? Of these, it would seem that Islamic civilization yet possesses a vital leadership which distinguishes itself from the West. Hindu civilization in India, though, may appear less distinct from the West than was the case even in Toynbee’s lifetime, and more troubled by that shift, given the tremendous influence of the colonial period and of Western ideologies and institutions upon its elites. As for both Orthodox civilizations and for the Chinese Far Eastern, the 20th and 21st centuries have been the scene of the violent, chiliastic overthrow of previous civilizational principles and institutions by minorities transfixed by ideologies originating in the West – first to strains of Marxism, and more recently to stains of liberalism and nationalism. It would be equally blithe to ignore the impact of the past two centuries upon Japan. Whatever the exact diagnosis in any particular instance, the theoretical and practical reality of the matter is not terribly cut-and-dried, and one should hesitate before saying that any civilization which has been deeply affected by Western colonial adventures has remained undivided in its essence. In any of these cases what we perceive is not, as Huntington argued, the reassertion of traditional or particularist “values” within these civilizations as the West retreats, but rather still a noticeable transfixion and mimesis of the existential core of Western civilization. Only now, however, the mimesis is not of a vital, creative minority but rather of handfuls of spiritually dead movements. Be their saint Marx, Lenin, Smith, Keynes, or Friedman, the commonality is the rule of a dominant minority caught up in ephemeral selves, techniques or institutions. It is the dangerous case, as Toynbee warned, of the rule of men who idolize an ephemeral self (i.e. new Communist Man, the Puritan missionary, the entrepreneur, the great nationalist patriot), an increasingly ephemeral institution (e.g. the sovereign Nation-State), and ephemeral techniques meant to buttress the two. Moreover, it is a situation in which the successes of the past (“modernization”) have become the obsession of the present, while also encouraging a new era of suicidal militarism (e.g. the War Against Terror). We are thus encouraged to reconsider the list of civilizations, from Toynbee’s point-of-view, which was furnished by Huntington, and to reassess the nature of the future clash which he posited. While the author listed the West, Orthodox, Hindu, Buddhist, Sinic, Islamic, Japanese, Latin American, and “possibly” African civilizations as the largest comprehensive players on the world scene, we have already excluded the last two as examples of completely separate, homogeneous, and distinct societies. Furthermore, we seem to have good reason to debate the existence of his Orthodox and Sinic civilizations, given that it is not readily obvious that those are again effectively re-centred on distinct creative minorities, though, as Toynbee himself pointed-out, one cannot ever dismiss the possibility of a renaissance. That said, the ruling elites of the nation-states which Huntington ascribes to said civilizations appear to have much in common with all that is modern and “Western”, and little that is so wholly distinct as was the case, for instance, in the pre-colonial period. We may even extend this observation to his Japanese and Hindu civilizations, though it appears that there is, within both, a pronounced movement away from the ghosts of Western Society – though those still not unburdened by the mesmerism exhibited by Western consumer culture and ideology. Thus, from Huntington’s initial list of nine players, we are left with a maximum of five, and a minimum of two! If we include Toynbee’s Eskimo civilization, we perhaps have six and three, respectively, but this is still down from ten which he observed to be alive when he composed A Study of History. What should be clear, at any rate, is that much of the violence of the 20th century – particularly the First and Second World Wars, as well as that originating in the Cold War – has not been the occasion of inter-civilizational clashes, but rather of intra-civilization wars between states animated by one form or another of ideology – understood in the sense of immanentist, secular, millenarian movements, either in a merely progressivist or a radical and activist utopian form: mere species of a kind of revolutionary spirit which arose from the Western, European experiences which followed the breakdown of imperial Christendom as an ordering principle. The aforementioned wars between the various secular, gnostic movements of modern states resembles nothing so much as the dogmatomachies and chiliastic movements in Europe following the dissipation of the medieval Christian order. By this token, our era has been characterized by an overarching commitment to achieving perfection on Earth, and bloody disputes regarding both how to achieve it, and whose continued existence has been delaying its advent; the clashes have been largely between various manifestations of a revolutionary Western spirit. Terminologically, we would perhaps achieve better clarity by following Eric Voegelin in setting aside the opaque, dualistic symbol of “the West”, and speak rather of Gnostic civilization. This would have the benefits of clarifying the fact that an essential break with classical and medieval cultures has occurred, disembarrass us of a broken symbol which insists upon imposing certain geographic boundaries on analysis (whether or not they are scientifically justifiable to make), and cast new light both on the spirit of imperialism and colonialism and of the ongoing internecine warfare between chiliastic, millenarian, and progressivist factions. These brief considerations, of course, do no sort of justice whatever to the empirical reality, and rather merely point to the sheer extent of theoretical reflection, questioning, and practical investigation required to even begin to assess the situation on the ground. It is precisely this tremendous vista of scientific research, I will submit, which is precisely cut-off at its roots by allowing one’s thoughts to be led by Huntington’s work – which is itself distorted by the application of Thomas Kuhn’s ideas to political phenomena. In fin, whatever the virtues of Huntington’s work has had for sparking debates, it is apparent that he did not take full stock of the theoretical sources upon which he himself was drawing. If he had taken full stock of Toynbee, in any event, he might very well have been forced to reconsider the title of his book, for, far from being A Clash of Civilizations, he might have recognized the events in questions as signs of The Suicide of a Society. Bottici, C. 2006. “Rethinking Political Myth: The Clash of Civilizations as a Self-Fulfilling Prophecy,” European Journal of Social Theory 9, no. 3: 315–36. Collet, Christian and Takashi Inoguchi. 2012. “Is Globalization Undermining Civilizational Identities? A Test of Huntington’s Core State Assumptions Among the Publics of Greater Asia and the Pacific,” Japanese Journal of Political Science 13, no. 04 : 553–85. Henningsen, Manfred. 2014. “The Death of Civilizations: Huntington, Toynbee, and Voegelin – Three Variations on a Theme,” European Journal of Social Theory 17, no. 2: 147–64. Huntington, Samuel P. 1996. The Clash of Civilizations. New York : Simon & Schuster. ___. (1993). “If Not Civilizations, What? Paradigms of the Post-Cold War World.” Foreign Affairs 72.5: 186. ___. (1997). “The West Unique, Not Universal.” Foreign Affairs 75.6: 28. ___. (1997). “‘The Clash of Civilizations’-A Response.” Millennium – Journal of International Studies 26.1 : 141–142. Moleski, Martin. 2006-2007. “Polanyi Vs Kuhn, Worldviews Apart,” Tradition and Discovery: The Polanyi Society Periodical 33, no. 2 : 8–24. Poirier, Maben W. 2007. “The Polanyi-Kuhn Issue,” Tradition and Discovery: The Polanyi Society Periodical 33, no. 2 : 56–65. ___. (2009). “Ideology.” Appraisal 6, no. 2: 10–29. Polanyi, Michael. 1974. Personal Knowledge: Towards a Post-Critical Philosophy. Chicago: University of Chicago Press. ___. (1969). Knowing and Being. Chicago: University of Chicago Press. Said, Edward. 2001. “The Clash of Ignorance,” The Nation 22, no. 10 : 2001. Toynbee, Arnold J. 1947. A Study of History, Abridgment of Volumes I-VI (ed. D.C. Somervell). Oxford University Press. Voegelin, Eric. 2000. The Political Religions and The New Science of Politics in Modernity Without Restraint, Collected Works, v.5. University of Missouri Press: United States of America. A full list is covered in Huntington (1996: 29-35). The index of Huntington (1996), mentions seven direct references of Arnold J. Toynbee, and his choice of wording on page 44 regarding the pattern of disintegration of civilizations – which is clearly Toynbee’s – betrays a preference over Melko (four mentions), Spengler (five mentions), or Braudel (seven mentions). Along with Melko, Toynbee is also the only author to be cited at both the beginning and end of The Clash. The subject of Kuhn’s relativism has long been a matter of debate, as has been the source of inspiration for his work. On the one hand, it has been strongly alleged that Kuhn was (at the very least) deeply influenced by Michael Polanyi’s Personal Knowledge: Towards a Post-Critical Philosophy, but chose to re-interpret Polanyi’s philosophic realism in such a manner as to emphasize the relativism of epistemic traditions, i.e. what he dubbed “paradigms”. Polanyi, for his part, came to deeply resent what he saw as a corruption and misappropriation of his work; for a brief overview on the matter, see Martin Moleski, (2006-2007); and Maben W. Poirier, (2007). For a brief investigation into Kuhn’s relativism, versus his alleged empiricism, see Poirier (1989). For the sake of scope, I shall be bracketing any in-depth exploration of Kuhn, or his influence on Huntington, except to observe both the latter’s open application of Kuhn’s ideas in his attempt to define what a civilization is, and the logical consequences of that commitment; it is these commitments which I’ll affirm have been logically reflected in The Clash. To be brief, “civilization” is taken by Huntington to define the highest level of cultural grouping and identity which people have, and designates the overarching “paradigm” in which they live. And, of course, as Kuhn writes, “paradigms”, are incommensurable with one another – hence the fuel for the clashes of civilizations which Huntington posits as inescapable; this I take to be the very logical consequence of following through, unquestioningly, on some very questionable ideas. I shall leave open any further investigation of the general influence and effects of Kuhn’s ideas upon political studies and analysis. Both Rizi, and Bottici and Challand make the strong case for the fact that Huntington’s articles and book contributed to the creation of a political myth (Blumenberg), or an affect upon the social imaginary (Charles Taylor), which helped to create the sort of tensions which Huntington claimed merely to be forseeing. See C. Bottici (2006); and Christian Collet and Takashi Inoguchi (2012). See also Edward Said’s criticism to the same effect (2001). Huntington (1996): 44. Interestingly, while Huntington here explicitly recognizes that Toynbee, among others, posits both a time of troubles and movements towards a universal state to be signs of civilizational decay, he does not associate those observations with the historical situation which he is studying. We will often persist in using the term “sub-units” to denote those units of political order which, in Huntington’s model, conglomerate into a civilizational “super-unit”; the reason for this is simply that the author himself vaccilates in terminology (one moment referring to “states”, another to “countries”). For Huntington’s words on the Islamic demographic explosion and it effects, see Huntington (1996: 109-121, 259-62). For instances of his analysis of the lack of an Islamic core state, see (1996: 120-21, 174-79). For evidence of Toynbee’s skepticism of progressive – particularly triadic or three-stage – models of history, see Toynbee (1947: 36-41). Compiled from Toynbee (1947), Table V.
 These represent, for Toynbee, promising historical movements towards a new civilization which, for one circumstance or another, did not carry off. In the case of a Far Western Christian civilization centered in Ireland, such occurred for the reason of the success of the Roman Catholic Church in subordinating its Celtic sister Church to its ecclesiastic leadership in the wake of the Isle’s devastating wars with the Vikings. In the second case, the death of a nascent Central Asian civilization centered around the Nestorian Church occurred with its absorption into the Arabic Empire in 737-741AD. In the case of the last, miscarriage was due to the successful conversion of the Scandinavian barbarians to Christianity. See Toynbee (1947: 153-60). Here, and in other places, Toynbee is pointing to the grounding of historical science, not in a detached objective stance, but in a faculty to precisely transcend the contingencies which separate the historian from the objects of study – in short, to understand peoples and events far separated from himself in time and space through appeal to a common and universal ground (for Toynbee, these moments are describable as ‘Beatific Visions’ of God in History (Toynbee, 1963:132)). As such, Toynbee, who does not see himself as gifted with any unique faculties, finds that he has no insurmountable problems in understanding persons and peoples of alien civilizations. This is in stark contrast to the both Kuhn’s and Huntington’s talk of mutually incommensurable paradigms, and points further to a fundamental contradiction in Huntington’s attempt to wed Toynbee’s philosophical theories with Kuhn’s de-contextualized ideas. Toynbee’s conception of the disintegration process of civilizations is summarized in Toynbee (1947: 548-55). This particular expression owes much to the work of Michael Polanyi, who has done more than almost any other scientist or philosopher to reground reasoning and culture (particularly scientific culture) in a commitment to universal truth. See, for instance, Michael Polanyi (1969 and 1974). See, for instance Huntington (1996: 169) for Huntington’s insistence on the importance of “Chineseness” to Sinic civilization, based upon certain racially-tinted statements by ethnic-Chinese (supposedly Han Chinese) leaders. Discussion of the substance and essence of ideology and Western gnosticism would be impossible within this space; however, for a concise overview of the phenomenon and the literature, consult Polanyi’s Personal Knowledge (1974), and Part I of Knowing and Being (1969); as well as Eric Voegelin’s Modernity Without Restraint, Collected Works, v.5 (2000); and Poirier’s essay “Ideology” (2009).